One of Sedlmayr’s friends was Anton Dreher. Dreher created a new style of lager that was copper in color and brewed in March and had a long and cool maturation period in which the beer was stored. He named the beer Märzen, after the month it was brewed in. However, the public chose to call the beer lager; since it was one of the first beers that had a long, cold, storage period; ie lagered; AKA German for storage/to store/some other synonym for storage. As lagering became more commonplace in German beers, it became designated as Vienna lager, in honor of its birthplace (It should be noted that modern day Vienna lagers are nothing like their historical versions; but that’s another story that involves Mexico). Fast forward to 1872: As Spaten was preparing for the upcoming Oktoberfest, Sedlmayr decided to brew a Märzen to be served at the festival. 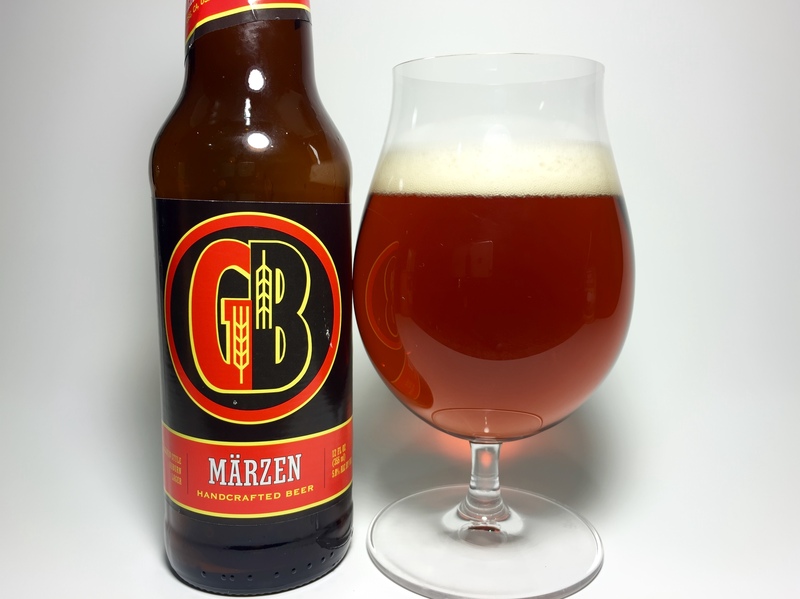 Märzen, as we learned, is a style that is identical to historical Vienna lagers, with the exception that it is probably brewed somewhere other than Vienna. In Germany, legally a beer can only be called Oktoberfest beer if it is brewed in Munich and served at Oktoberfest. Yes, that means that virtually any style beer can be called Oktoberfest as long as it’s brewed in Munich and served at Oktoberfest. Thus, Märzen became synonymous with Oktoberfest, and as to not confuse us Americans (too late), German brewers labeled Märzen beers to be shipped to America as ‘Oktoberfest,’ since we don’t know what the hell a Märzen is. In the mid 1970’s, Paulaner decided to brew an alternate beer to be served at Oktoberfest. This new beer was lighter in both color and body but still malty. The goal was to make a beer that was more drinkable than the traditional Oktoberfest beer, which Paulaner felt was too filling. This new beer has been the dominate beer served at Oktoberfest since 1990. So if Americans think that Märzens are Oktoberfest beers, what is this new beer supposed to be called as to not confuse us anymore? 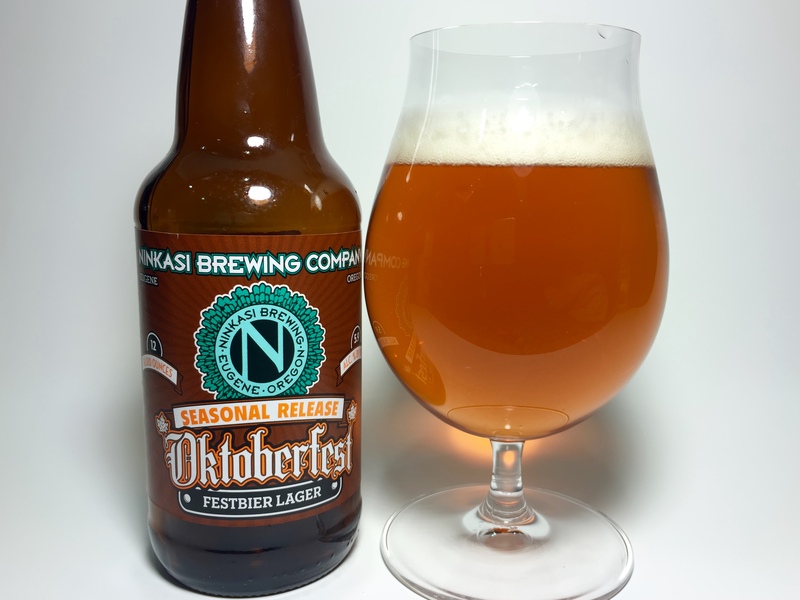 It has become known as Festbier since the name Oktoberfest is kinda taken already, even though it technically isn’t. 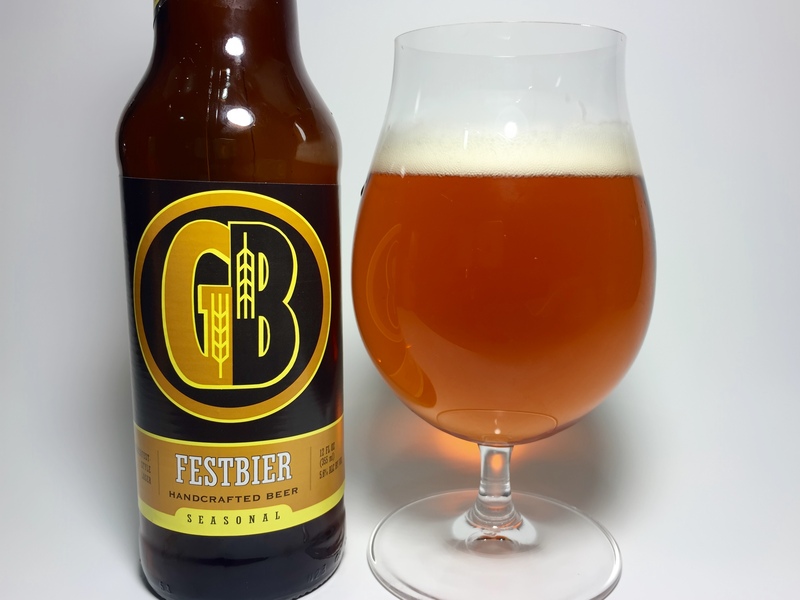 However, the Beer Judge Certification Program (along with the Brewers Association, who both put together official style guidelines in America) state that Festbier is virtually identical to Dortmunder Export. Dortmund is 375 miles away from Munich, so how these two beers are essentially the same thing is beyond me. I’ll be honest, I didn’t feel like researching another beer style, I’d rather just taste the difference myself. Thankfully, I happened to have a few lagers nearby. Gordon Biersch Märzen, if it wasn’t obvious, is brewed to be a representation of the original Oktoberfest beer. It’s got a nice clean aroma and a balanced caramel flavor that isn’t too sweet. This has long been my go-to Gordon Biersch beer. It’s almost like the lager version of a brown ale. Dark colored, but as easy drinking as any pale beer with just the right amount of caramel sweetness. There’s even a surprising amount of hop bitterness for a beer this dark. 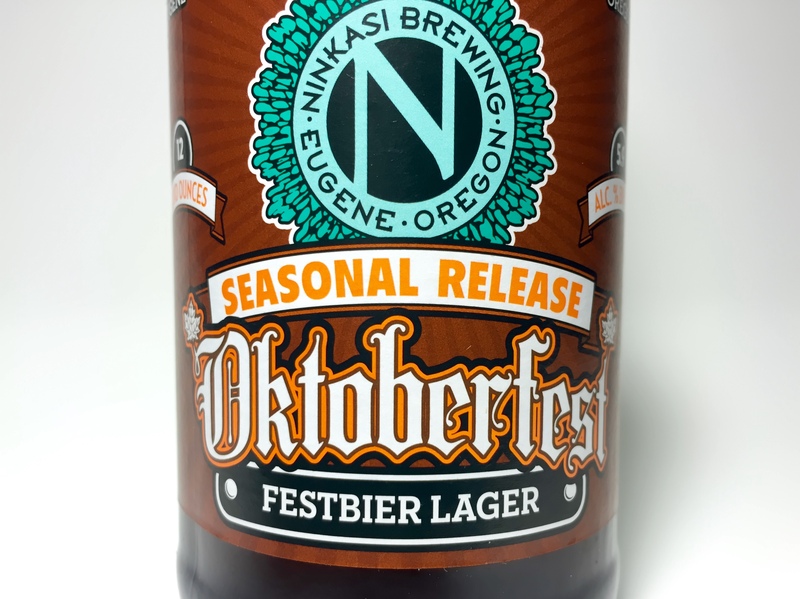 Ninkasi Oktoberfest confusingly also calls itself a “Festbier Lager.” That being said, it is still copper color, but just a little bit lighter than GB’s Märzen. This beer has got quite a bit more hop bitterness than Märzen and less of the caramel sweetness. Seriously, this beer is bitter. It’s like a pale ale brewed with a lager yeast. I’d recommend this beer to anyone who usually drinks pale ales and IPAs, but wants an introduction to lagers. I could see this as the same style as Märzen, but it’s definitely on a different end of the spectrum. Gordon Biersch Festbier is brewed to be a representation of the modern day Oktoberfest beer. This beer has the same copper color as the Ninkasi Oktoberfest, but it’s got a very low hop bitterness compared both of the previous two beers. It really is a lighter, more drinkable version of the Märzen. Despite being less bitter, there’s still a good amount of hop flavor in the aftertaste. This was my favorite of the five beers I tried. Just super drinkable, but still a lot of flavor. 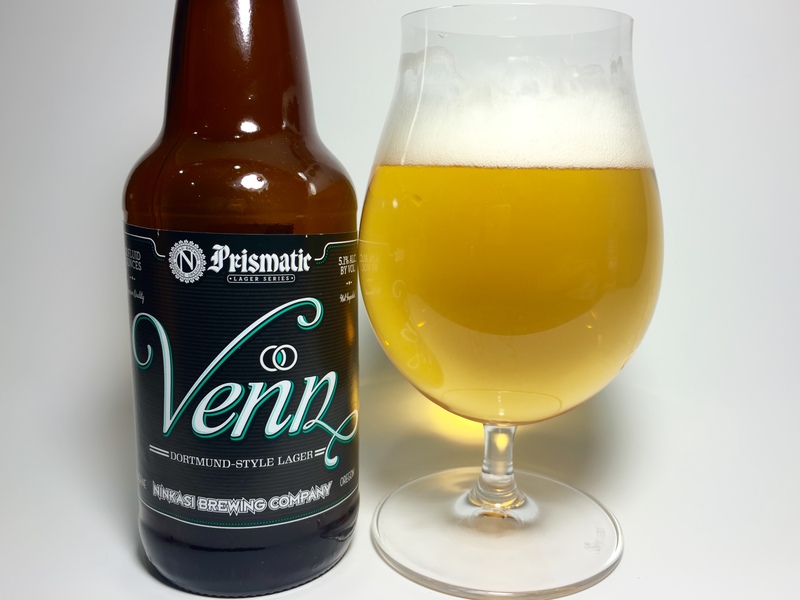 While I was at it, I thought that I’d try out Ninkasi Venn, which is a is a Dortmund-Style Lager. I thought I’d compare it to Gordon Biersch’s Festbier since American style guidelines claim that the two styles are nearly identical. The color is nowhere near copper like the other beers. It was a brilliant golden color. It isn’t dissimilar to the Festbier, but it does have quite a bit more hop bitterness. 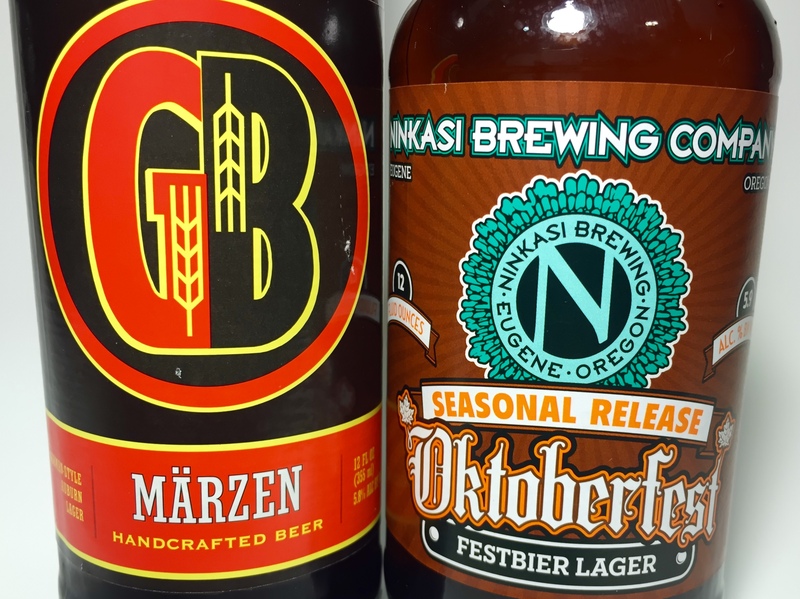 Once again, I’ve got to recommend the Ninkasi beers to anyone who loves pale ales and IPAs. It’s definitely a german lager, but with an American amount of hops added. 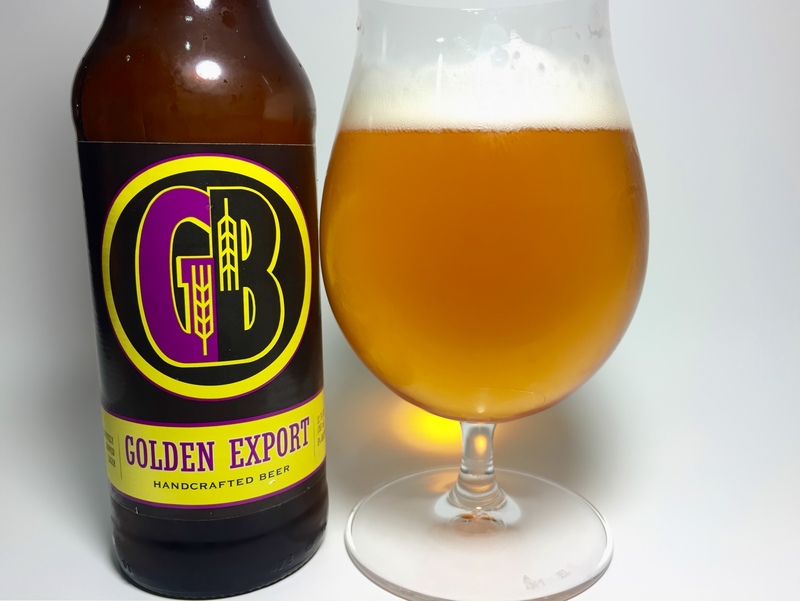 Gordon Biersch’s Golden Export is also a Dortmunder Export. Not nearly as pale as Ninkasi’s Dortmund; it’s actually just as copper colored as Ninkasi Oktoberfest and Gordon Biersch’s Festbier. The big difference however is that this beer has the least amount of hop bitterness of all the beers that I sampled. Instead, there’s more of a lightly sweet malt graininess in the flavor. The BJCP and the Brewer’s Association both describe Festbier and Dortmunder Export as essentially the same beer. After tasting the last three beers, I can see that, but these beers are still rather unique and can stand out quite a bit from each other. Obviously having only tasted a few beers from only two American breweries is far from the best way to understand German beers, but I’m American; what do you want from me? 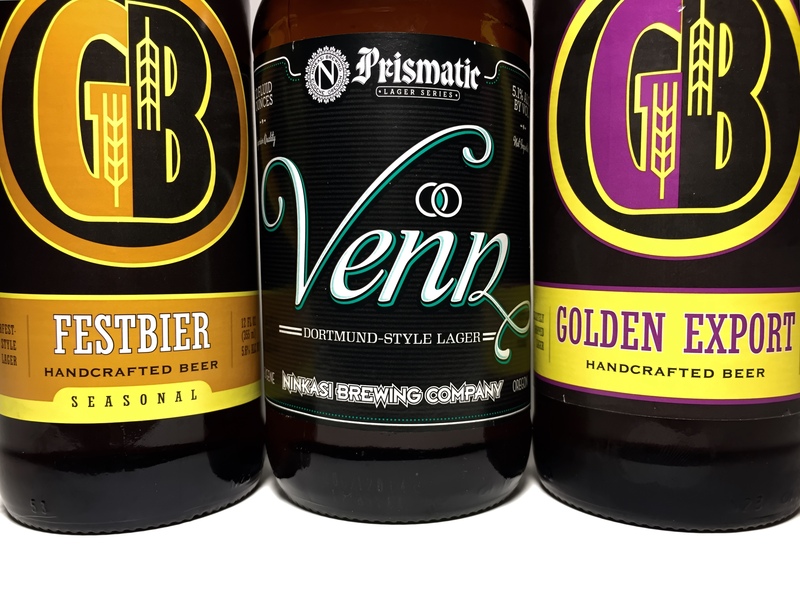 German beers seem to have lost the respect that they once had in America before the explosion of “craft beer.” I’m not sure how to end this article other than to say thank you to both Gordon Biersch and Ninkasi for reminding me of how extremely drinkable and flavorful German beers are. Here’s to hoping more breweries follow suit!